Buy a jolly special gym, a train and coach, carnival swing, see saw and a square climbing frame for the special price mentioned. And quess what! We will throw in a small drum and steering wheel as a gift to you. ALL THIS FOR THE UNBELIEVABLE PRICE MENTIONED. 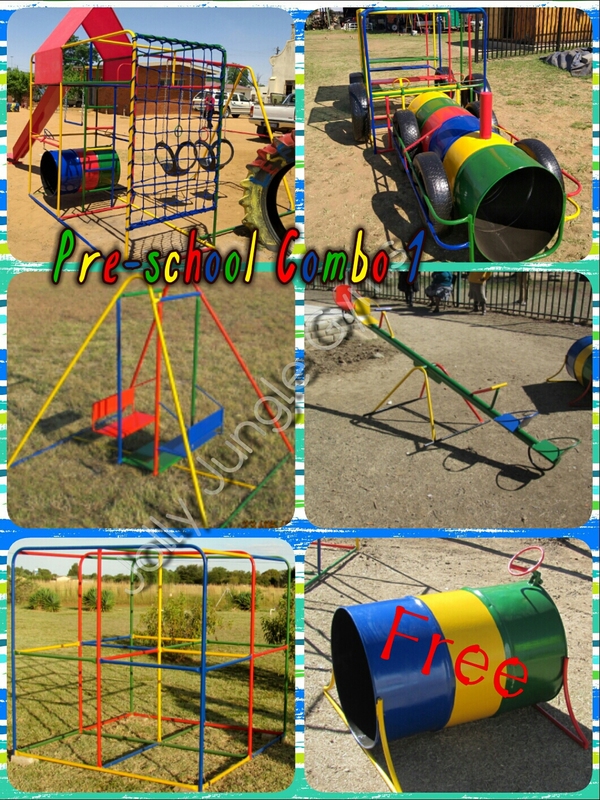 JUNGLE GYM, TRAIN AND COACH, CARNIVAL SWING, SEE SAW, SQUARE CLIMBING FRAME AND A SMALL DRUM AND STEERING WHEEL. Due to the very good price please pay a 50% deposit to secure your order.